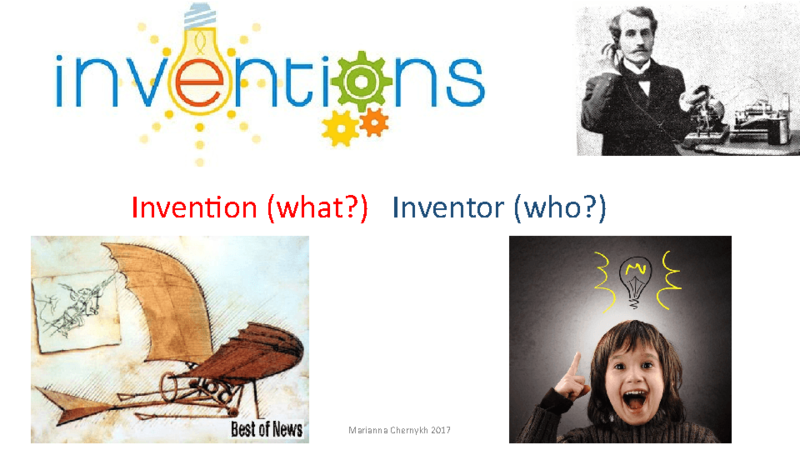 This is a speaking lesson on inventions. 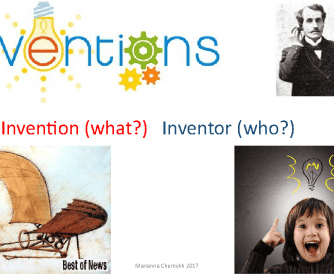 The slides include visual vocabulary for 3 short youtube videos about recent inventions: Solarbox, a stray animal feeding machine and the newest Snapchat Spectacles (links inside). Also there're speaking activities and discussion questions. It's fun, simple and thought-provoking. This works for pre-intermediate teens and mixed speaking clubs if you don't focus on listening comprehension of the videos. If you do, it becomes slightly more complicated. Slide 2 - ask the students to continue the list of items, Slide 3 - pick 2 random objects, the slide is just an example.